The public is invited to celebrate 2016 Florida Arbor Day with a ceremony at 1:30 p.m. on Friday, Jan. 15, in the parking lot of the Sarasota County Administration Center, the county has announced. “This year the county will celebrate urban forestry management and planning for the future by planting a successor tree to replace a tree near the end of its life cycle,” a news release says. Each attendee will also have a chance to take home a free sapling (while the supply lasts), free bookmarks with a tree design and free 2016 calendars from the county’s Neighborhood Environmental Stewardship Team (NEST) program, featuring local students’ artwork, the release adds. County Commission Vice Chair Paul Caragiulo is the scheduled guest speaker, the release notes. Additionally, Smokey Bear will make a special appearance, “reminding us all how to prevent wildfires,” the release says. The event is free. 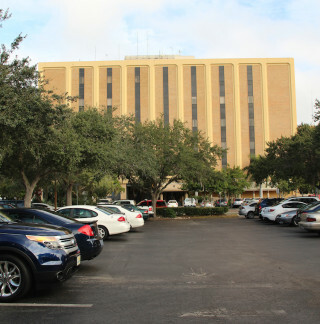 The administration center is located at 1660 Ringling Blvd. in downtown Sarasota. The Arbor Day celebration is in keeping with Sarasota County’s commitment to serving as an environmental steward, the release explains. The county recently was re-certified by the National Arbor Day Foundation as a Tree City USA for the 25th year.